Hellllllllllo and happy weekend! 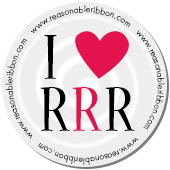 I have a card to share today made for Really Reasonable Ribbon. Mother's Day is coming up. With that in mind....I created a "dear Mother" card. I started with some paper scraps and diecuts . I added some metal flourishes and a heart to add some dimension. From there I added some Seam Binding in Lace Blue for softness, Trellis Roses, and Cherry Blossoms in Blue. Lovely design and I love the touch of silver! Cherry, this is a piece of Blue Heaven come down to earth! Gorgeous!